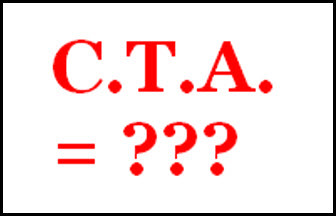 But when all you come across in the document is some sort of abbreviation — like C.T.A. — instead, it’s even harder to figure things out. When you return to dry land and more stable internet, would you explain further sed non allocatur? Under what conditions would the court disagree with the arguments of counsel? Thank you for sharing your extensive legal knowledge. We must be in deep water…my head is swimming! Viz — contraction for videlicet – to-wit, that is to say. A clerk in one of the local Surrogate’s Courts here in New Jersey tells people that C.T.A. means “Changed To Administration”. Which, while not quite right, actually is mostly right but for the wrong reason! Sigh… makes you wonder, doesn’t it?